Hailing from Helsingborg, Sweden, CHRONUS is an exalted quartet formed in 2015 and led by the Baron. Young, fresh and visionary, they carry the metal torch with astonishing maturity. 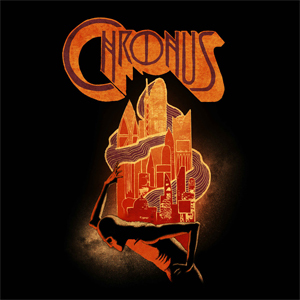 Delivering a majestic performance filled with striking melodies and hard-hitting riffs, CHRONUS have been compared to the likes of MASTODON and b>GOJIRA. Vocalist/guitarist the Baron, dressed in white, embodies a voice reminiscent of Ozzy Osbourne, complementing the work of his three black-clad associates. In order to spread rapture upon the people, CHRONUS ceremoniously convert their audience in a relentless conquest to take on the World. Join their voyage to the City of Light! The lyric video for "City Of Light" can be viewed below.